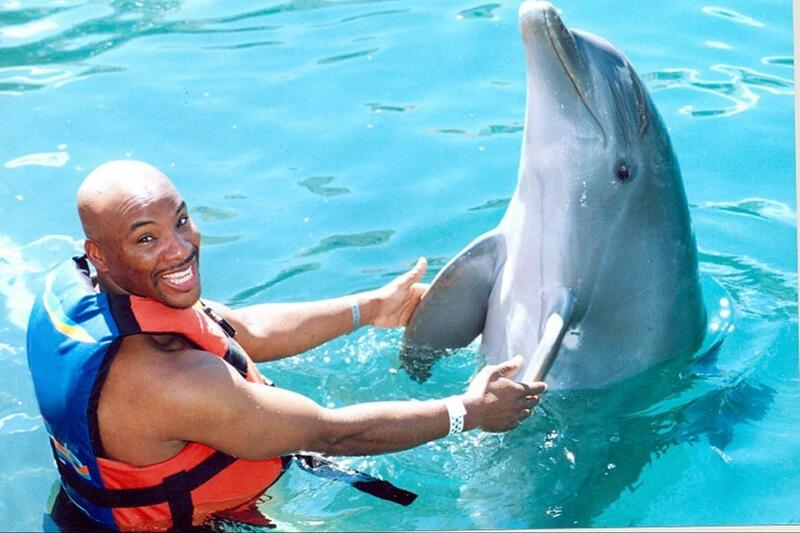 Enjoy swimming with dolphins and interact with them in the Caribbean Sea! Tour Itinerary Subject to Change Without Notice! Unused portions are not refundable or transferable. The use of life jacket is required in all water programs. For safety reasons pregnant women (5 months and up) can't participate in any of our aquatic programs. Women with less than 5 months into their pregnancy can participate in the Encounter program only if accompanied by another adult and after signing a Responsibility Form. Remember to use biodegradable sunscreen to protect your skin, the environment and marine species. For security reasons, the use cameras in the water is not allowed, professional photos will be available for sale. Bring towels and cash (for the moment we are not receiving dollars, just mexican pesos) for taxis, shopping, meals, etc. If you have any health condition or physical disability please contact our call center before you make your reservation so we can provide you full information about our services. To book 1-5 year old infants please do not include them in your reservation but be sure to add them on the comments section of your reservation. IMPORTANT: For the moment this location is NOT receiving US dollars (USD) in cash for expenses like dock fee, souvenirs, photos, restaurant, etc. Only Mexican pesos (MXN) in cash and if the client want to use an international credit or debit card, payments will be done in Mexican or US currency at the corresponding exchange rate. 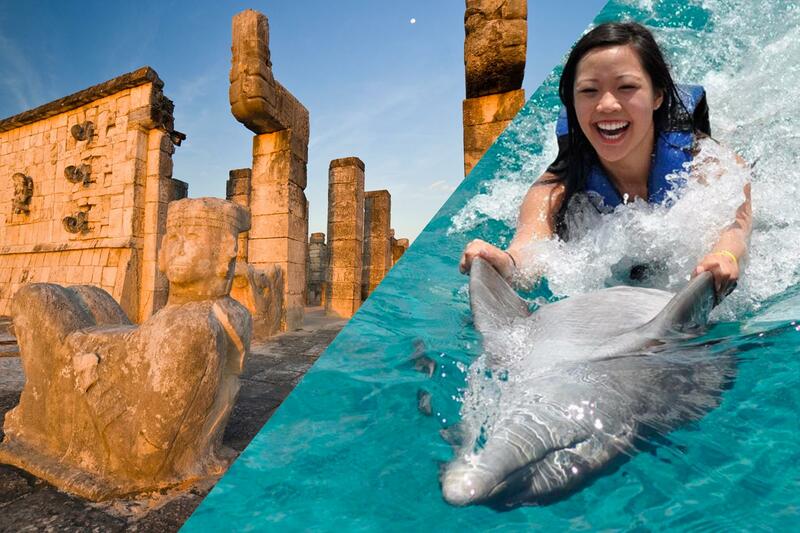 This package includes two of our most popular full day tours: Chichen Itza Deluxe Tour and Dolphin Adventure Swim at Isla Mujeres! Our excursion begins by picking you up in a 16 seater Mercedes Benz Van (small groups for luxurious comfort!) between 7:00 and 8:00 am from the lobbies of all major Cancun hotels. 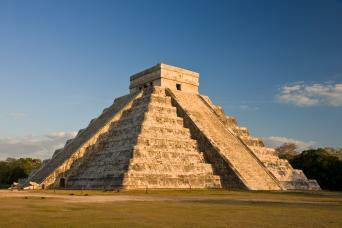 Arriving at the Mayaland Hotel, we will head directly to the archaeological site through our private entrance. 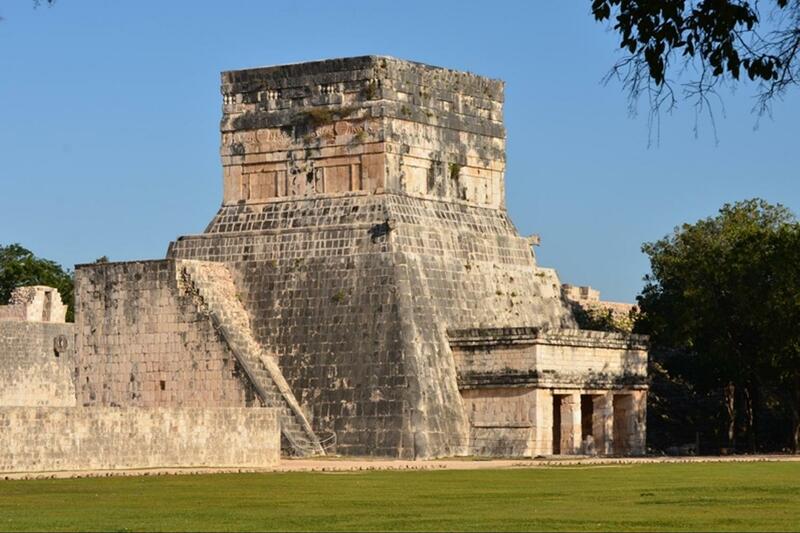 At the site, our certified tour guide will take you on a 2 hour tour, exploring the secrets of the ancient Mayan Civilization. Your guide will explain the historical significance of all the most important constructions such as the Observatory, the Nunnery, La Iglesia and Akab Dzib. 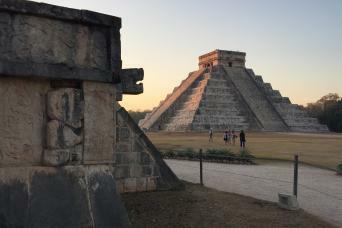 After this, we will continue to the main plaza, where the famous Temple of Kukulcan is located (El Castillo or the Pyramid), the remarkable Ball Game Court, the Temple of the Jaguars, the Platform of Eagles and Jaguars, The Platform of Venus, the Tzompantli, the Temple of the Warriors and its adjacent Temple of the 1,000 columns. 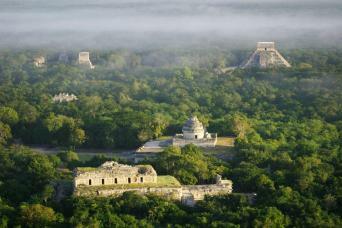 You will have time to discover the site on your own, so move at your own pace, admire the monuments, and take pictures. After your first visit to the ruins, regroup to enjoy a delicious buffet lunch at the Mayaland Hotel. During lunch you will be entertained by traditional Yucatan music and dance performances by the Mayaland regional ballet. After lunch you continue to Cenote Ikkil, take a dip in the fresh waters, relax in tropical gardens. Optional activities like bike riding, planetarium or horseback riding are available at the hotel at a nominal fee. We will depart at approximately 3:30 pm, arriving back at the first Cancun hotel at 6:00 pm. We’ve prepared an incredible program filled with excitement, action and fun. Make friends with a playful dolphin who will greet you with a handshake and a kiss on the cheek - they expect the same from you! Then get up close and personal with your new friend for a speedy belly ride through the sea. You’ll enjoy free time at play with the dolphin to experience all their fun quirks. 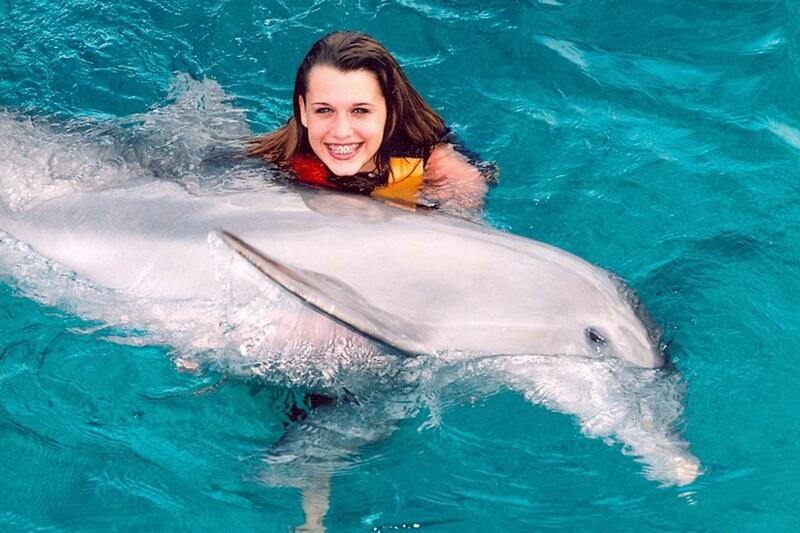 Dolphin Activity Package includes orientation, boogie push, belly ride, hug, handshake, dolphin kiss, dolphin song, free time to swim and play with the dolphins, and a maximum group size of 12. * There are 2 ferry services for Isla Mujeres at 9am and 11am. Please ensure you arrive AT LEAST 30 minutes prior to your departure time.